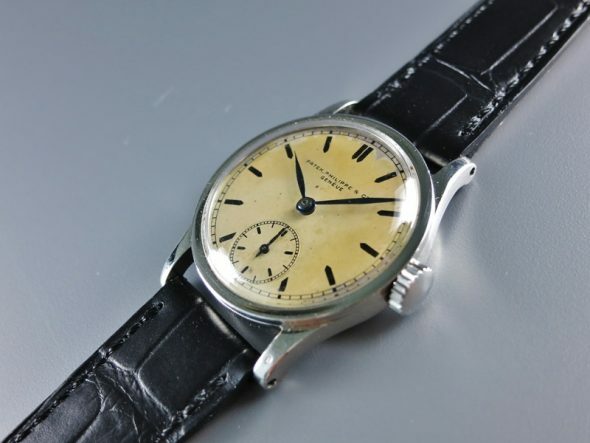 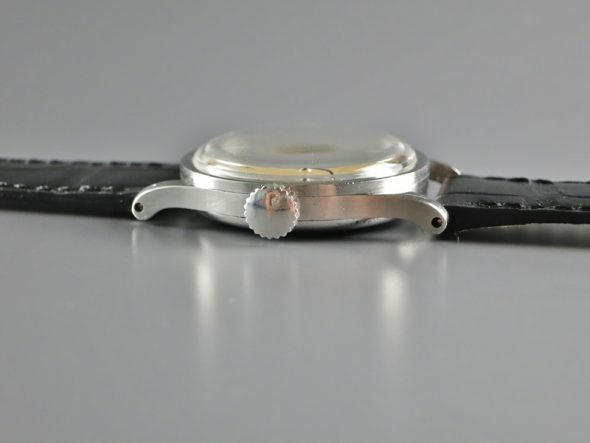 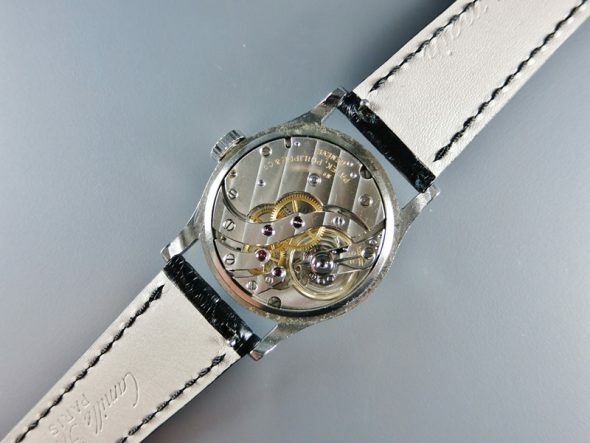 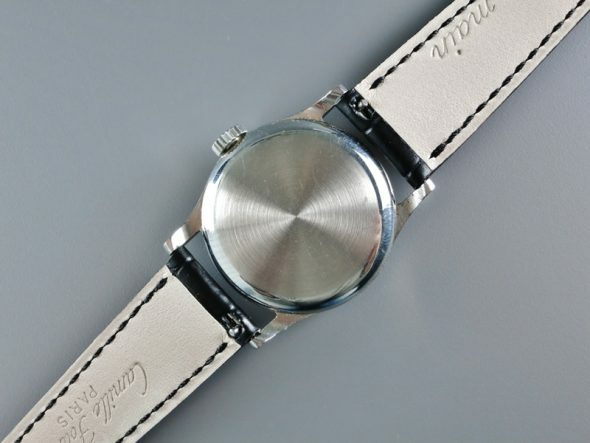 A fine and very rare stainless steel manual-winding wristwatch ref.96 manufactured in 1940's. 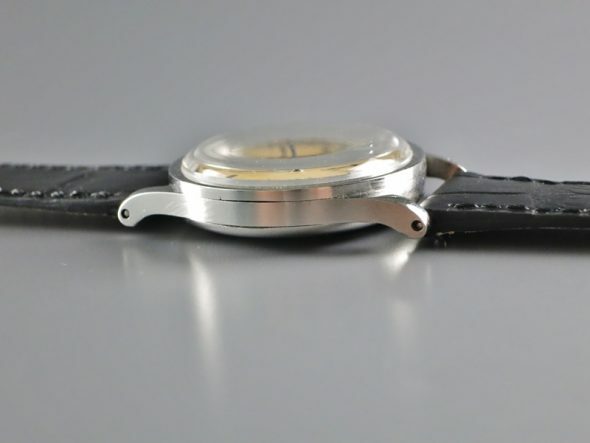 This watch features the unusual painted black enamel indexes look completely difference from the normal applied indexes. 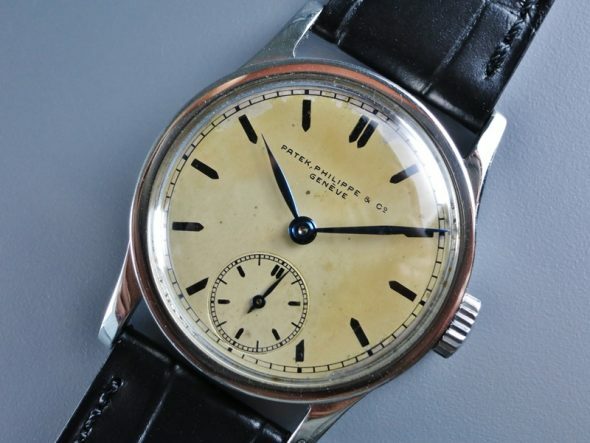 Considering the rarity of this unusual dial, this watch could has been made as a special request. 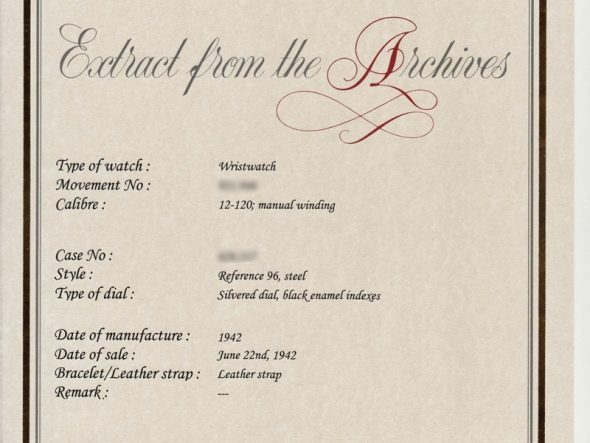 With Patek Philippe Extract from the Archives confirming production of this watch with silver dial and black enamel indexes in 1942 and its subsequent sale on June 22nd, 1942.